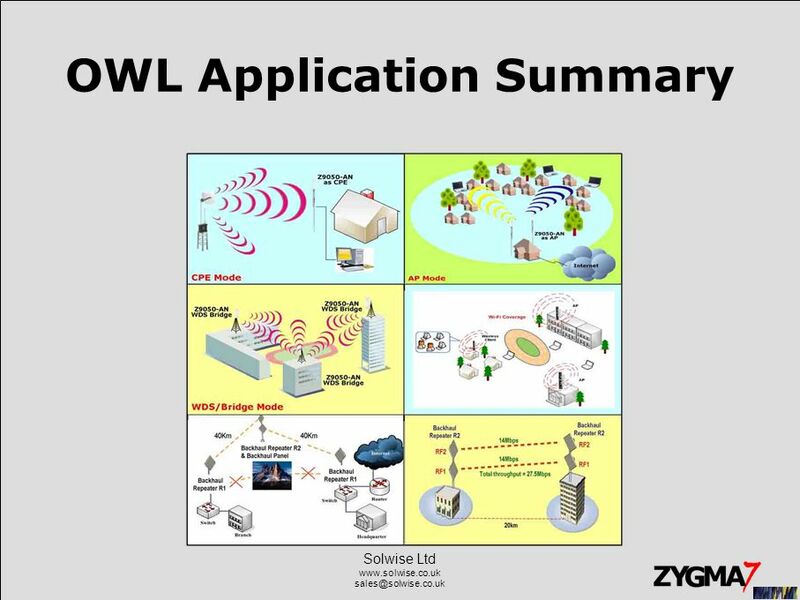 21 Solwise Ltd www.solwise.co.uk sales@solwise.co.uk Featura N5 (Z9050-AN) WMM Support –WMM (Wi-Fi Multimedia) is a subset of 802.11e. 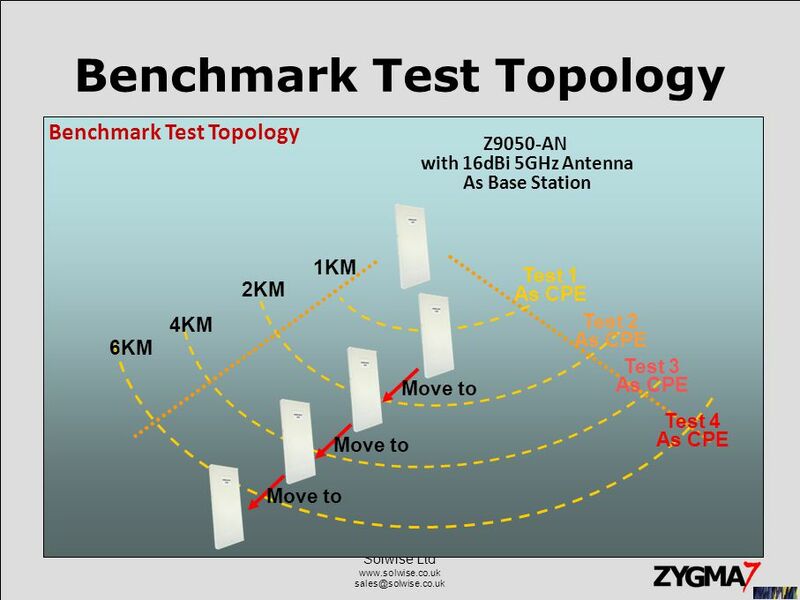 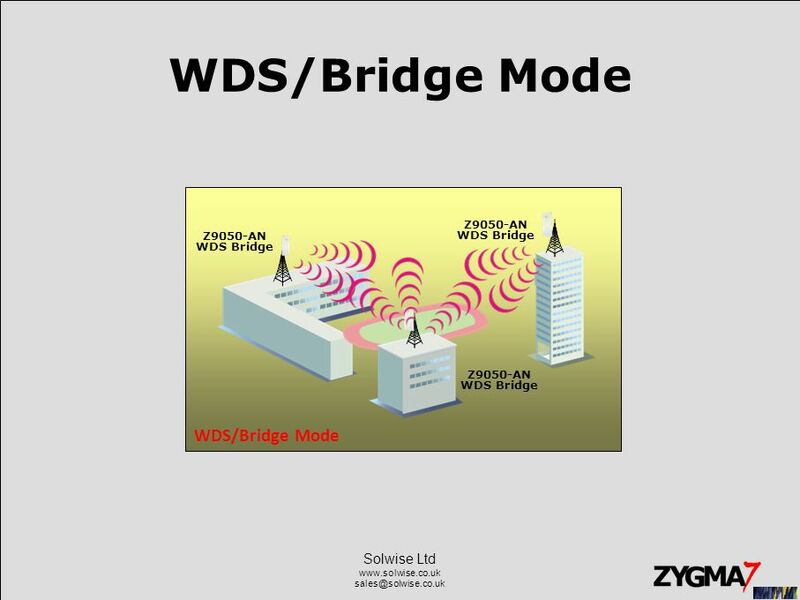 It allows wireless communication to define a priority limit on the basis of data type under AP mode only, thus those time-sensitive data, like video/audio data, may own a higher priority than common one. 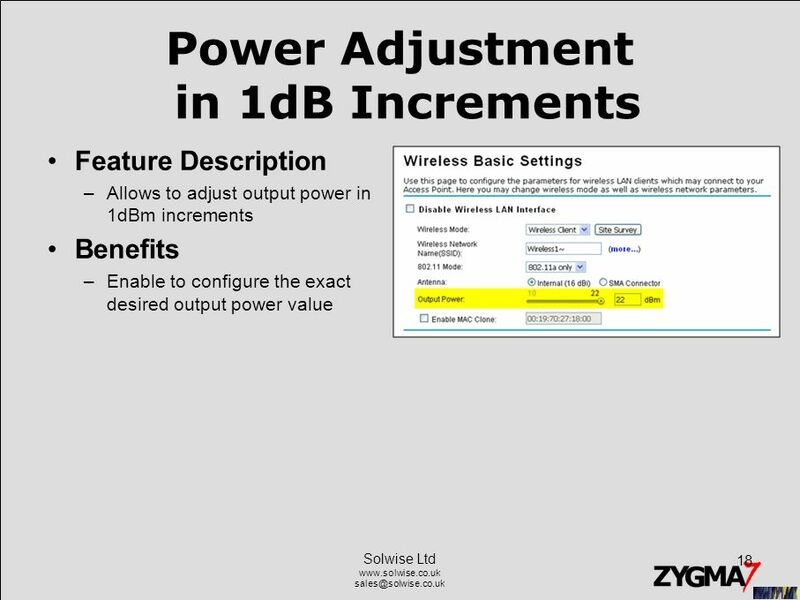 To enable WMM, the wireless client should also support it. 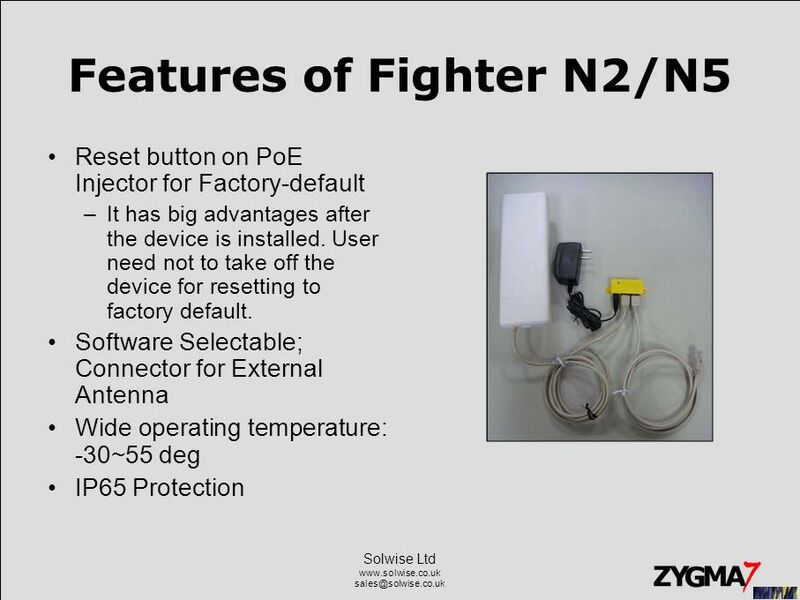 Short GI(Guard Interval) –Under 802.11n mode, enable it to obtain better data rate if there is no negative compatibility issue. 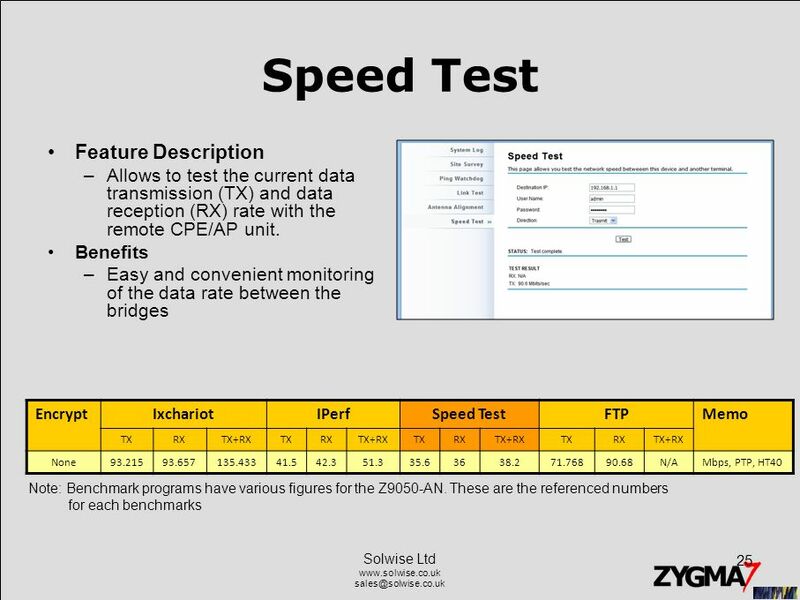 A-MPDU/A-MSDU Aggregation (Frame Aggregation) –The data rate of your CPE except wireless client mode could be enhanced greatly with this option enabled; however, if your wireless clients don’t support A-MPDU/A-MSDU aggregation, it is not recommended to enable it. 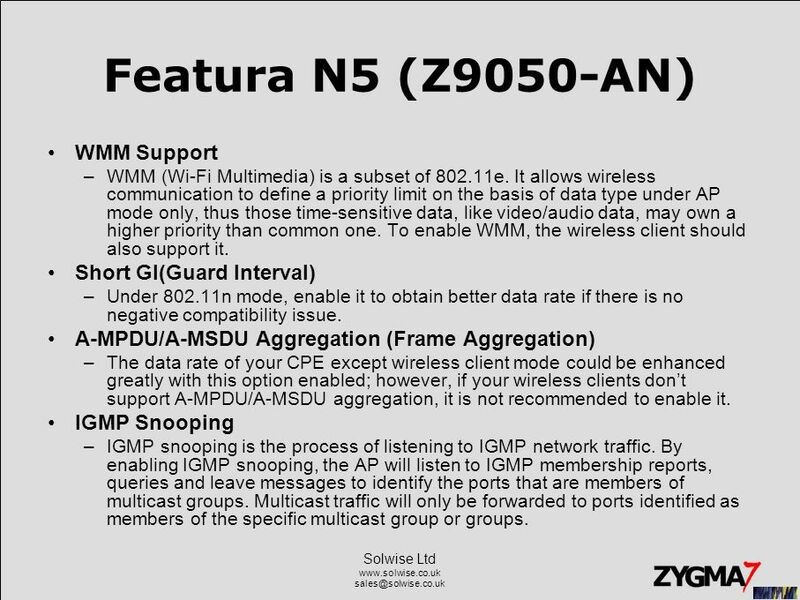 IGMP Snooping –IGMP snooping is the process of listening to IGMP network traffic. 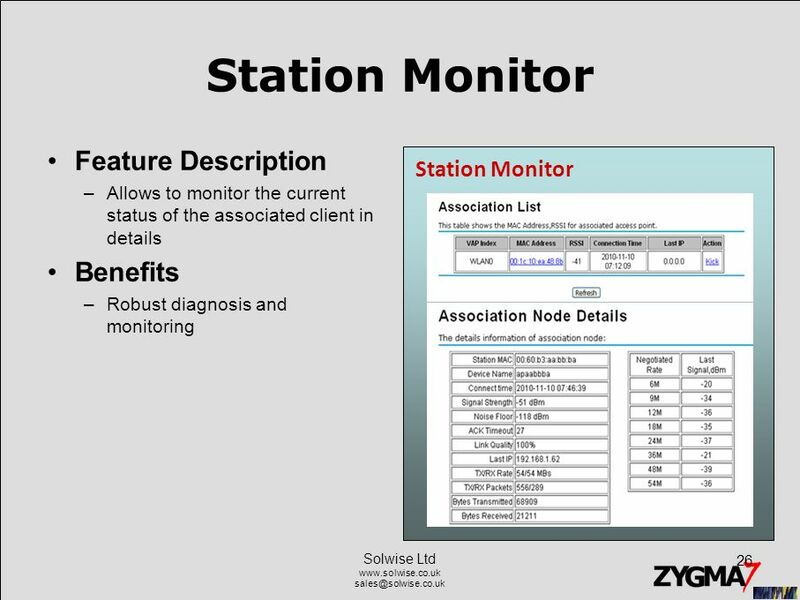 By enabling IGMP snooping, the AP will listen to IGMP membership reports, queries and leave messages to identify the ports that are members of multicast groups. 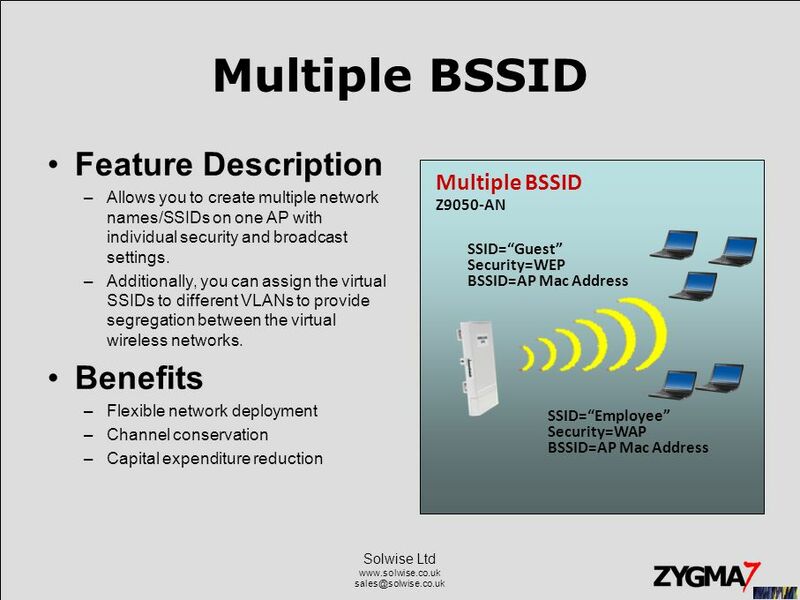 Multicast traffic will only be forwarded to ports identified as members of the specific multicast group or groups. 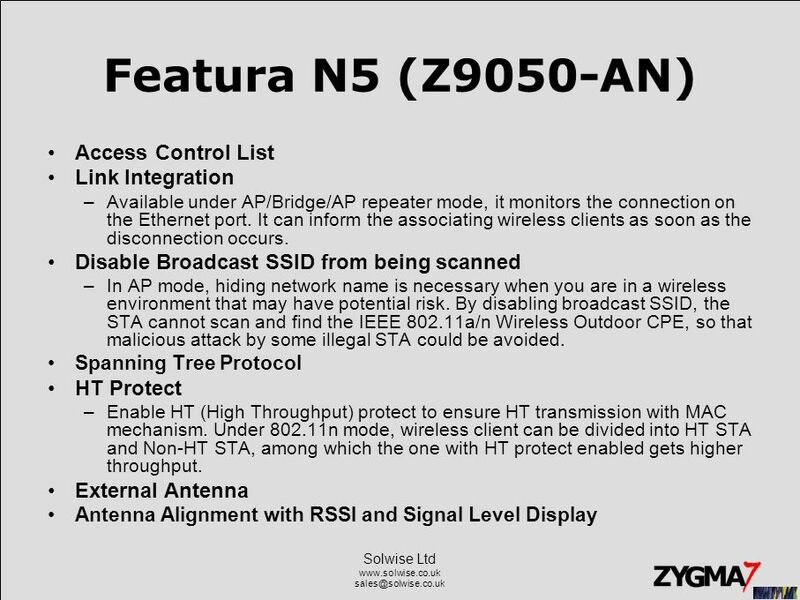 23 Solwise Ltd www.solwise.co.uk sales@solwise.co.uk Featura N5 (Z9050-AN) SNMP V3 Ping Watchdog for heart-beat check –IP Address to Ping –Ping Interval –Startup Delay –Failure Count to Reboot GPS Coordinate Settings Remote Firmware Upgrade Configuration File Backup/Restore Manual Remote Reboot Disable Wireless LAN Interface –the wireless module of the CPE will stop working and no wireless device can connect to it. 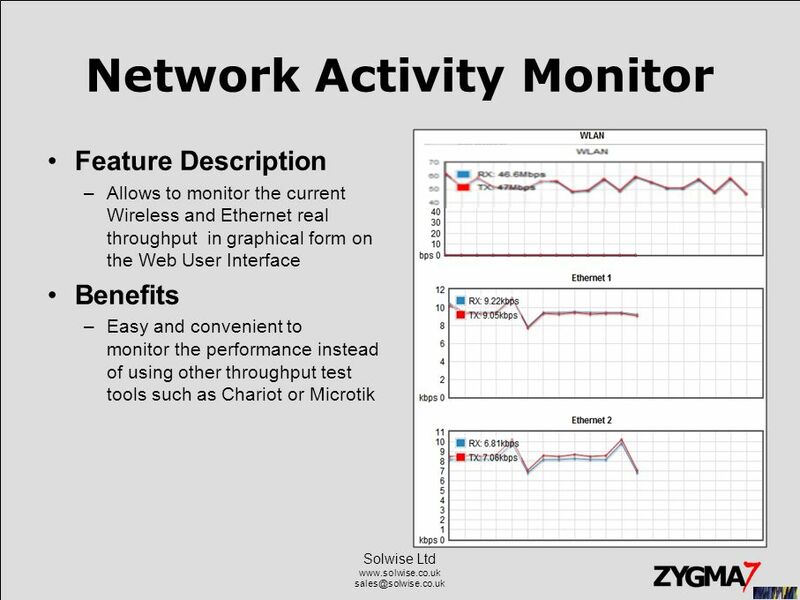 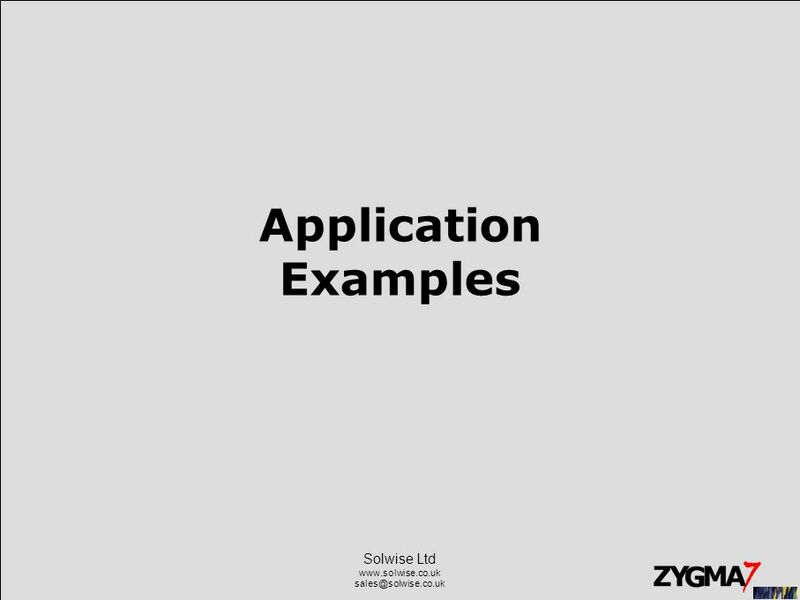 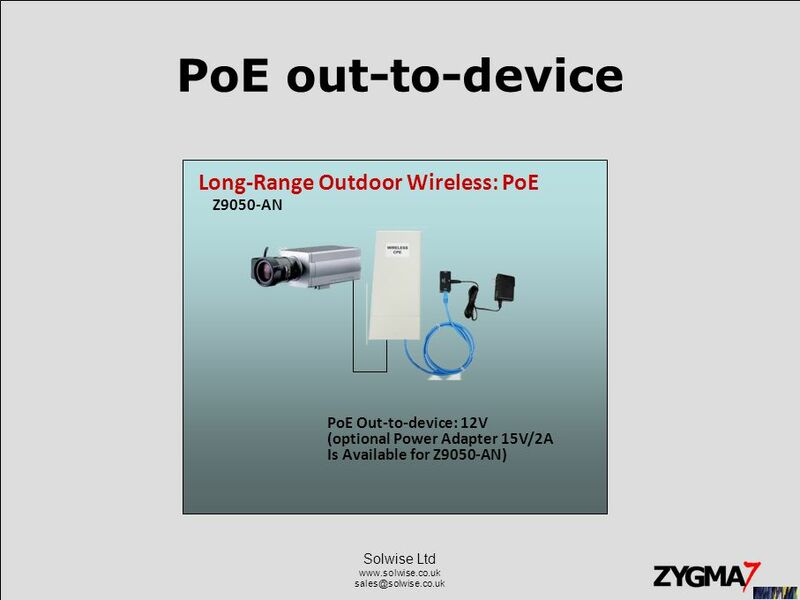 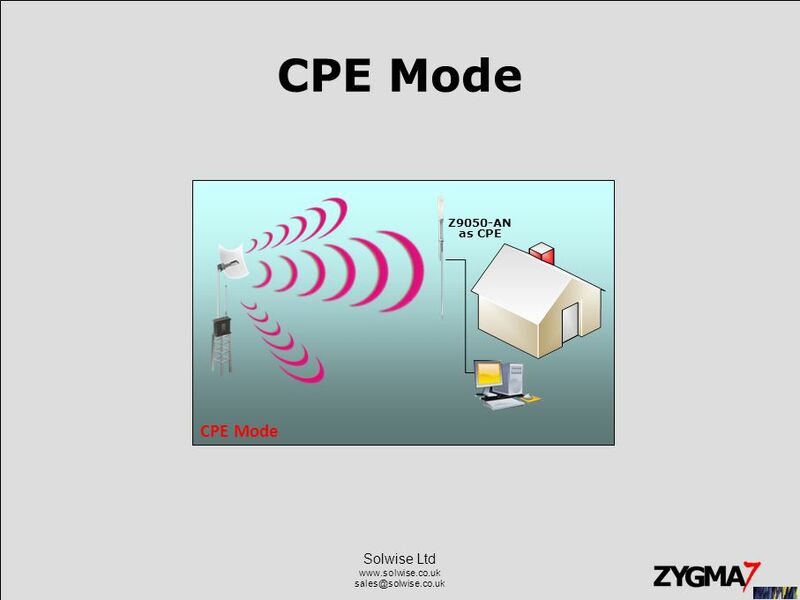 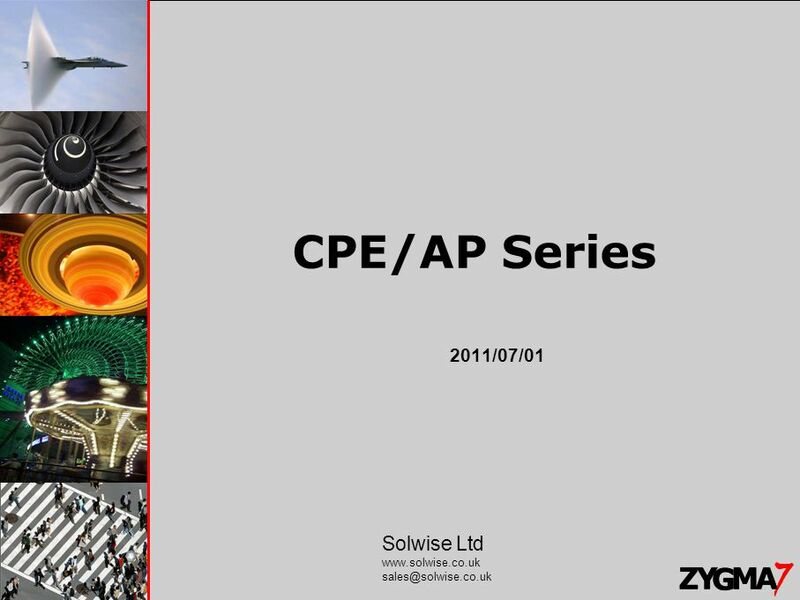 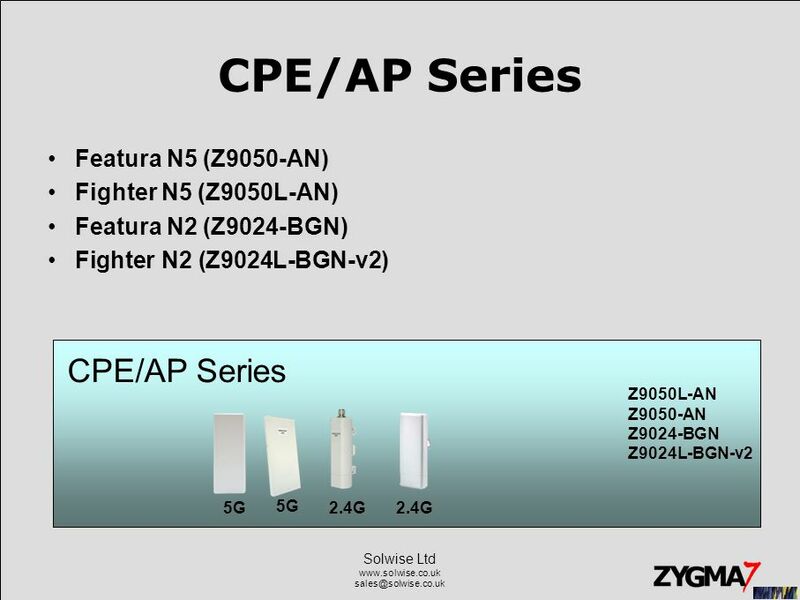 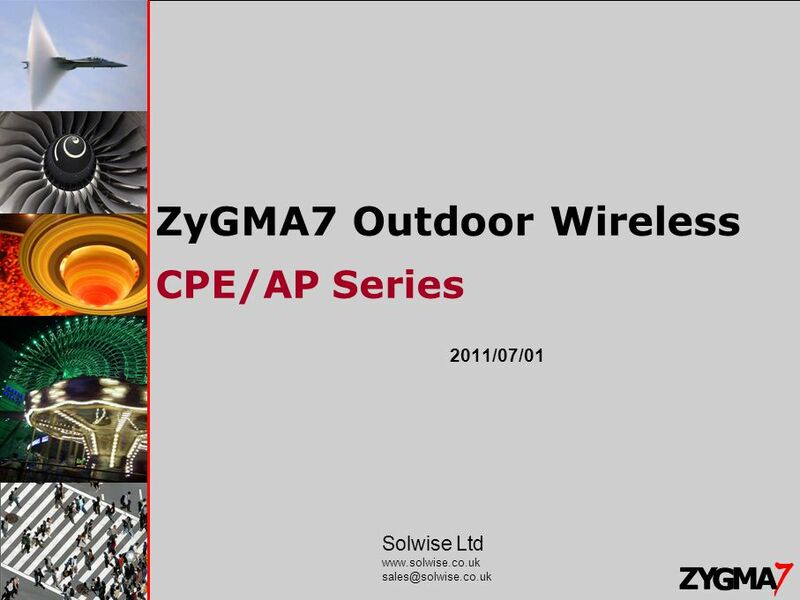 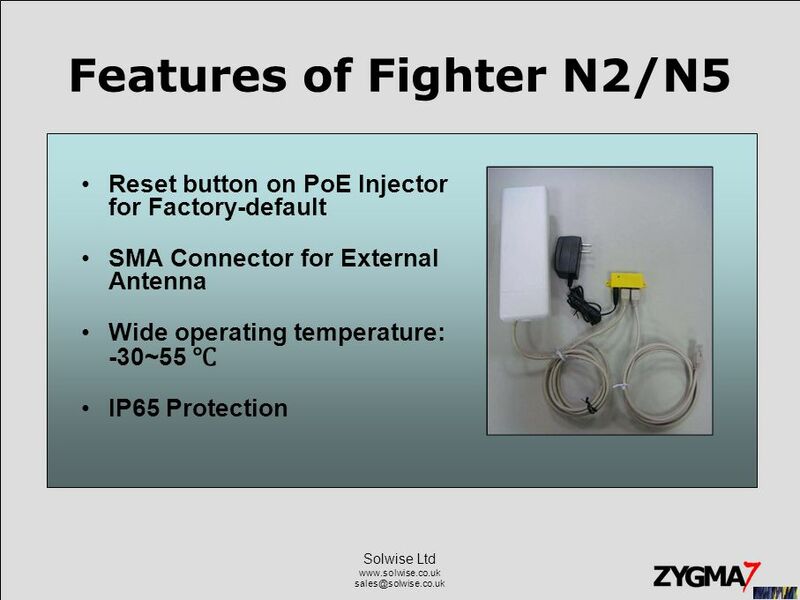 Download ppt "Solwise Ltd ZyGMA7 Outdoor Wireless CPE/AP Series 2011/07/01 Solwise Ltd"
Engenius Workshop 7 Mode of ECB-3500. 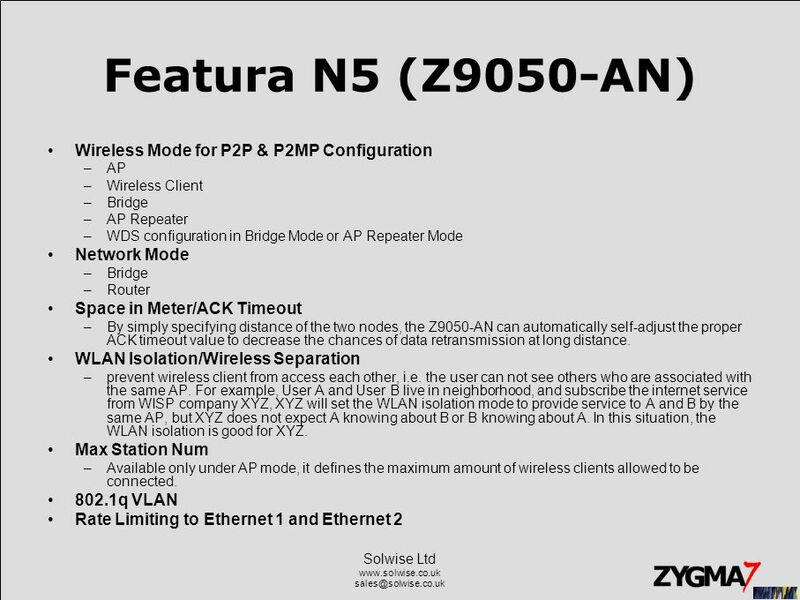 DIR-619L Wireless N 300 Cloud Router Sales Guide February 9 th 2011 D-Link HQ. 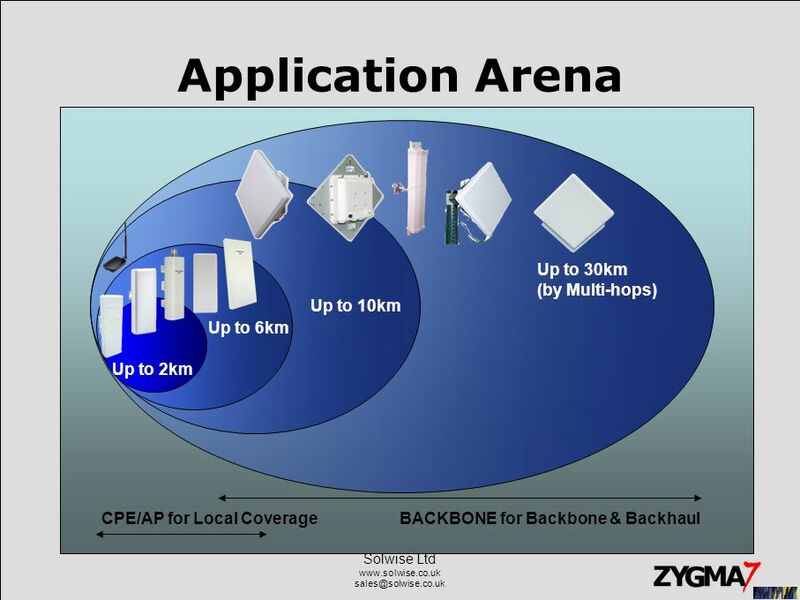 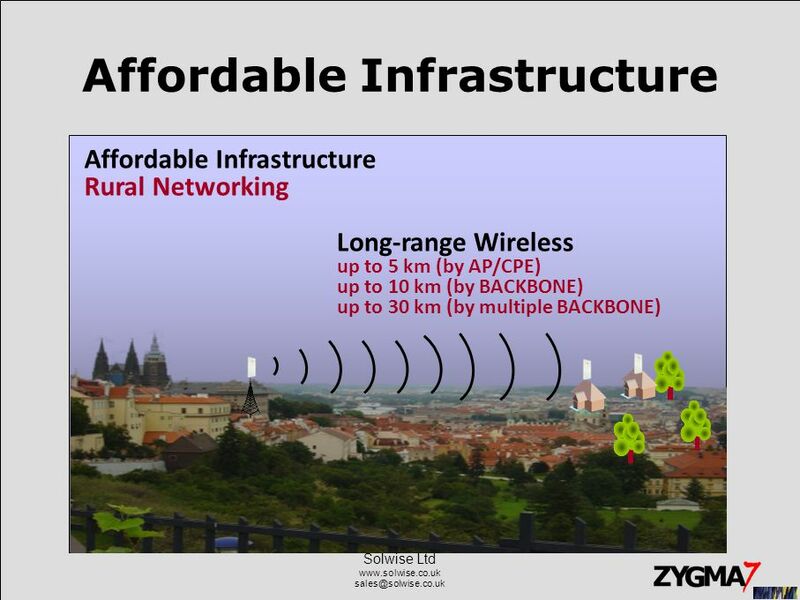 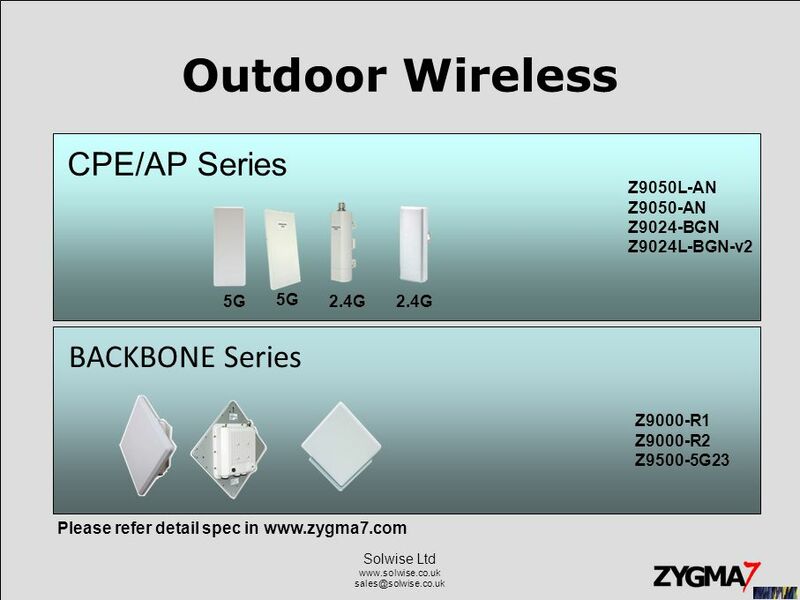 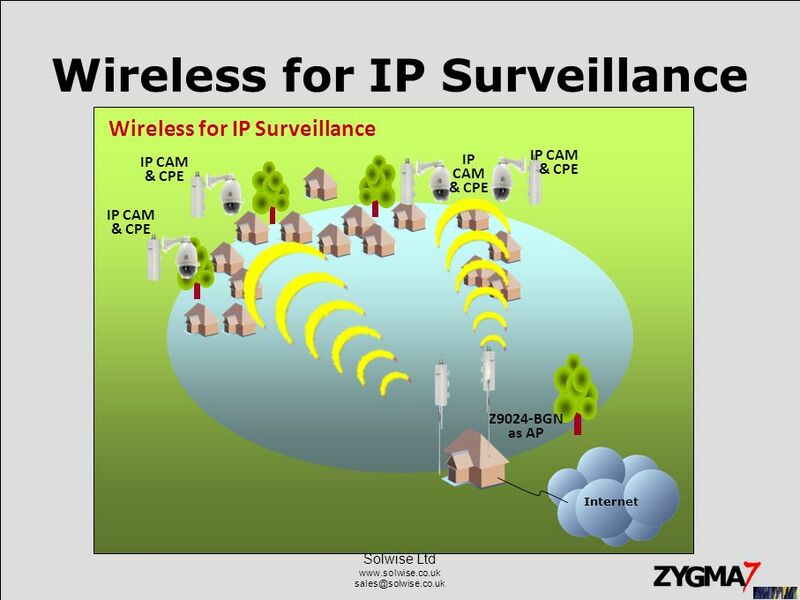 Solwise Ltd ZyGMA7 Outdoor Wirelss Backbone Series 2010/07/01 Long-haul Wireless, from 2km to 30km Cost-effective. 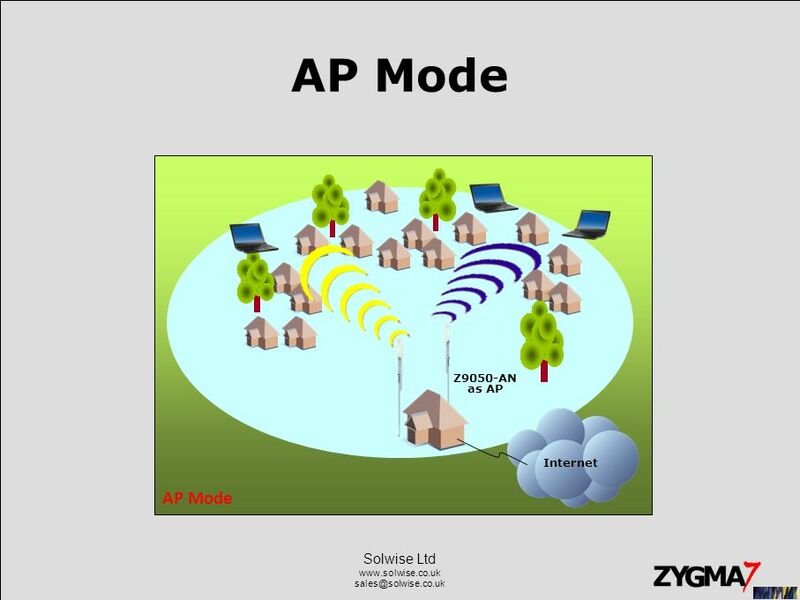 1 SATEL IP-LINK Makes wireless static TCP/IP routing possible Is to be used with SATELLINE-3AS radio modem Has the stable Linux operating system and specific. 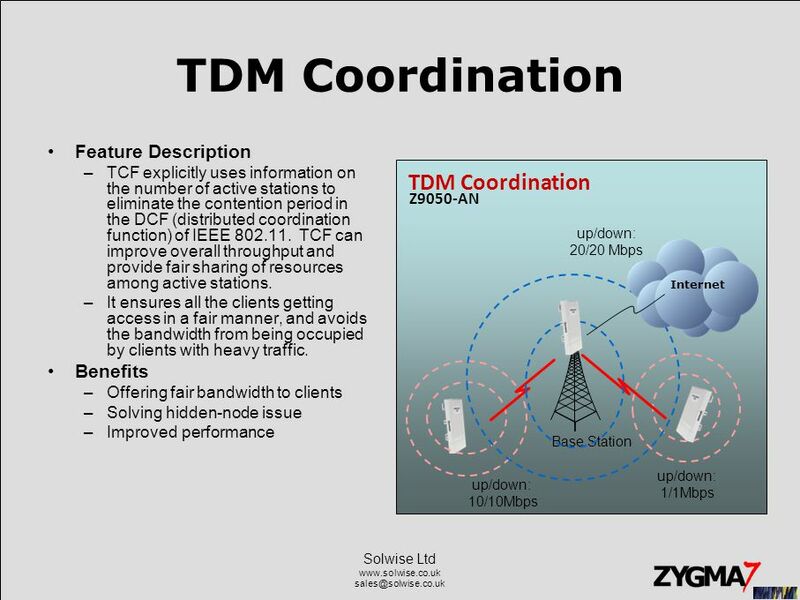 © 2006 Cisco Systems, Inc. All rights reserved. 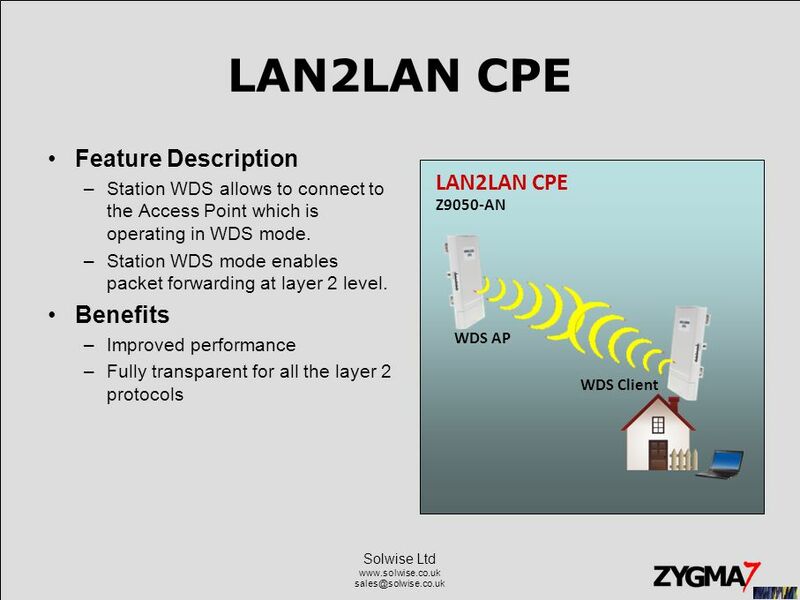 ICND v2.3—2-1 Extending Switched Networks with Virtual LANs Introducing VLAN Operations. 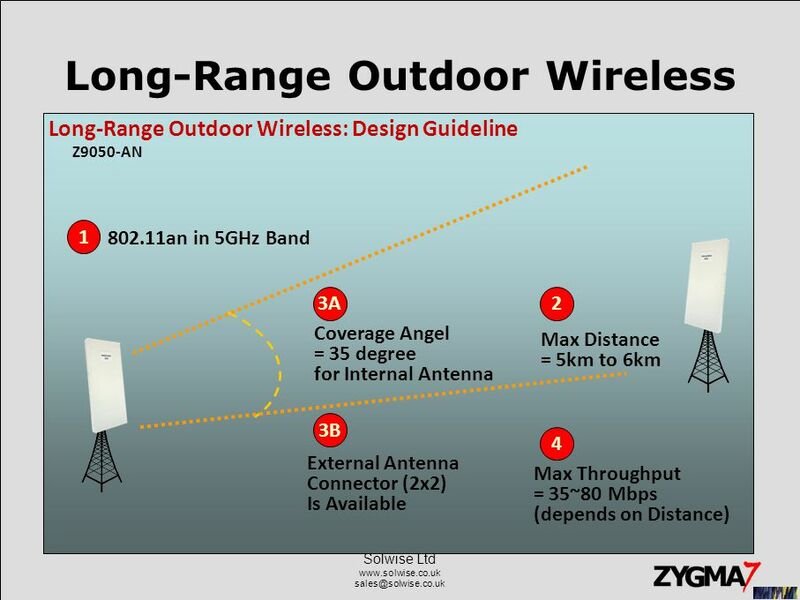 Wide Area Wi-Fi Sam Bhoot. 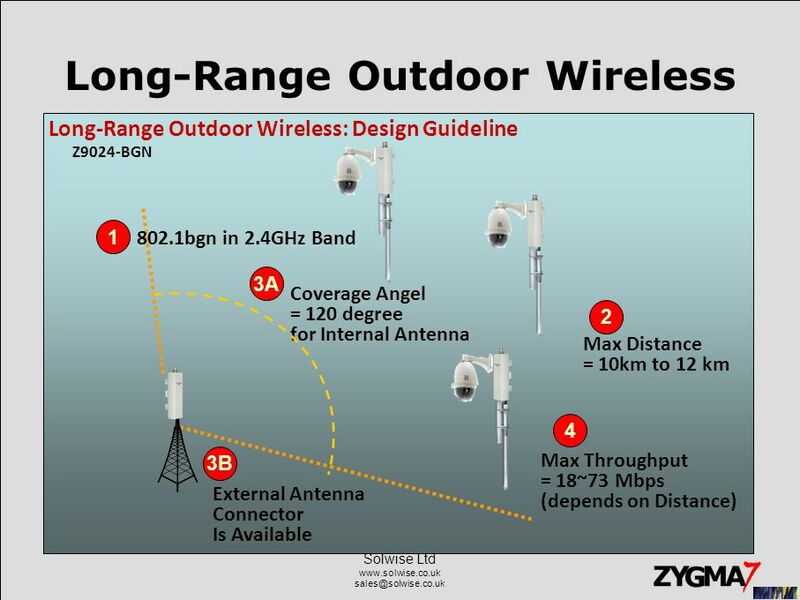 Wide Area Wi-Fi  Definition: Wi-Fi (Wireless Fidelity) n. – popular term for high frequency wireless local area networks operating.